On March 30, 1867, Secretary of State William Seward (who survived an assassination attempt the night President Lincoln was shot) agreed to buy Alaska from Russia for $7.2 million. In 1866 the Russian government offered to sell the territory of Alaska to the United States. Secretary of State William H. Seward, enthusiastic about the prospects of American Expansion, negotiated the deal for the Americans. Edouard de Stoeckl, Russian minister to the United States, negotiated for the Russians. 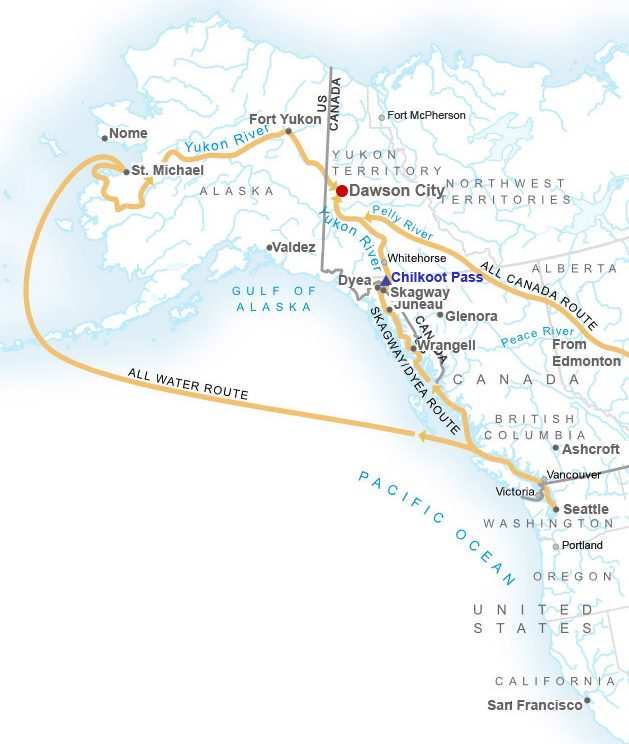 On March 30, 1867, the two parties agreed that the United States would pay Russia $7.2 million for the territory of Alaska. For less that 2 cents an acre, the United States acquired nearly 600,000 square miles. 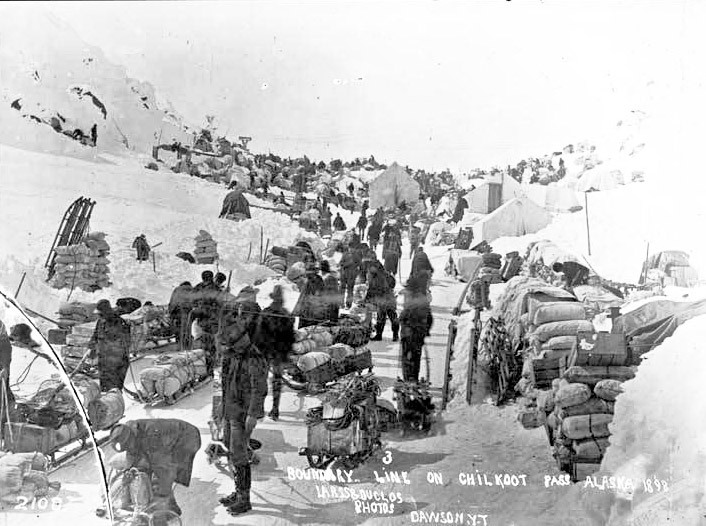 Opponents of the Alaska Purchase persisted in calling it “Seward’s Folly” or “Seward’s Icebox” until 1896, when the great Klondike Gold Strike convinced even the harshest critics that Alaska was a valuable addition to American territory. The check for $7.2 million was made payable to the Russian Minister to the United States Edouard de Stoeckl, who negotiated the deal for the Russians. 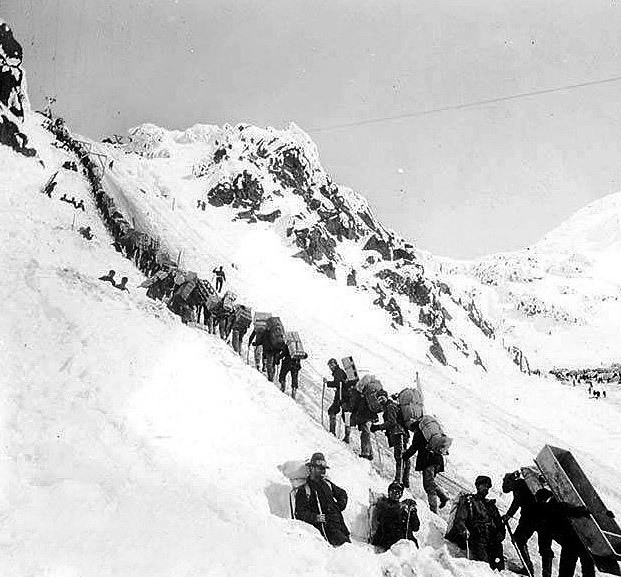 The “great Klondike Gold Strike” began on August 16, 1896 when three men found gold—ultimately, lots of gold—in Rabbit Creek near the town of Dawson (in the Yukon region of Canada). 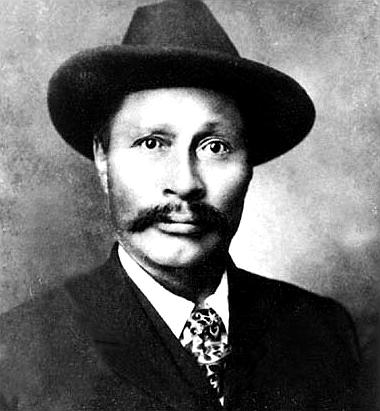 Those three men were Skookum Jim Mason and Tagish Charlie (members of Canada’s “First People”) along with George Carmack (a chap from Seattle). Claims to the various gold sites were already staked long before gold-seeking “Klondikers” (100,000 of them, give or take) began the long, arduous journey to the Yukon. Historians estimate that only 30,000 actually arrived. The Klondike Kings quickly became very rich. It is estimated that over one billion dollars worth of gold was found, adjusted to late 20th century standards. Others found their fame and fortune in different manners. Jack London became well-known by writing of his experiences in the Klondike. Fred Trump, grandfather of late-20th-century billionaire Donald Trump [and an immigrant from Kallstadt, Germany who married Elisabeth Christ, his Kallstadt neighbor, and died during the Spanish Flu Pandemic of 1918], earned his fortune running the Arctic Restaurant and Hotel [which featured gambling and "sporting ladies"] in Bennett, British Columbia, along the Chilkoot Trail. Would-be gold prospectors never made much money at all, let alone fortunes. But ... when gold was discovered in Nome (in 1899), Klondikers moved-on to search for fame and fortune there. It was a mere 32 years after America had finalized the Alaska Purchase. Image online, U.S. National Archives. Information and quoted passage, regarding the Alaska Purchase, from Our Documents web site. Bos, Carole "Alaska Purchase and the Klondike Gold Rush" AwesomeStories.com. Sep 22, 2013. Apr 24, 2019.